New page for you all! Well now, this is an unexpected turn of events. Guys remember? 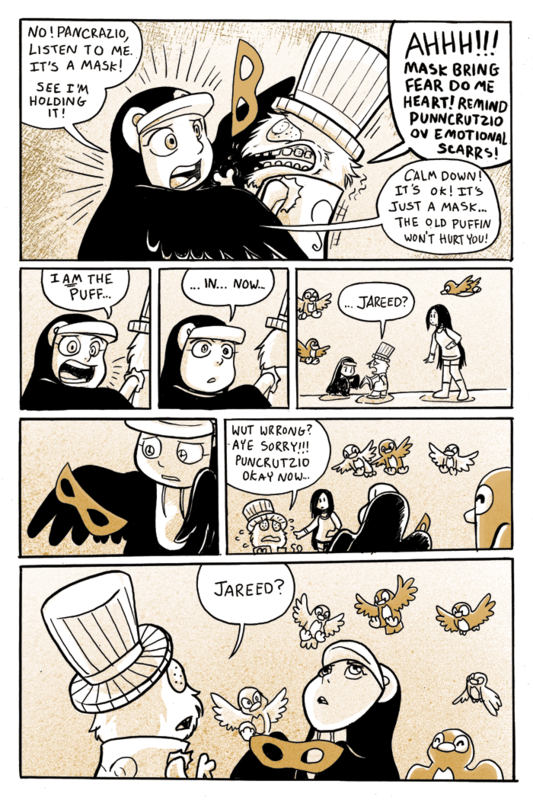 Jared wants to be a penguin and puffins are penguins worst enemy. Jared just realized he had become the exact opposite of what he was trying to be. Isn’t this how Batman got started? Yes, Unclever title. It is. Now JARED! IS! PUFFIN MAAAAAN!!! PUFFBAT! BATTIN! PENGATUFFIN MAN! MANPUFFPENGU!! !